Transformation begins with noticing. 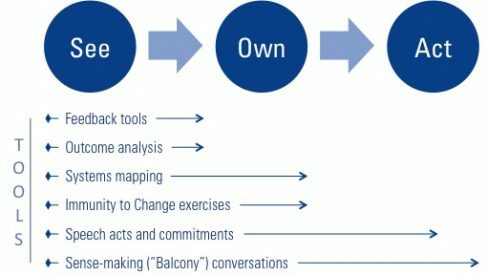 Kenning’s core coaching approach emphasizes iterative cycles of observation and experimentation – engendering self learning and lasting change. Kenning Associates is a trusted provider of coaching services to top companies and professional services firms. To build great organizations from the people up, we bring expertise in cognitive, developmental and organizational psychology; management consulting; and military leadership, resilience, and team building to tailor coaching engagements for each client. The goal is to help the leaders we coach not only sharpen their technical skills (i.e., increasing what they know) but also accomplish transformational growth (i.e., evolving how they know and who they are able to be in high-stakes situations). One thing that makes our coaching distinctive is that it is experimental. Instead of prescribing precooked solutions and assuming they will work for all people, Kenning coaches help clients develop a series of experiments in which they try different behaviors and challenge embedded assumptions, and then reflect on what those experiments have taught them about what they might want to do differently. 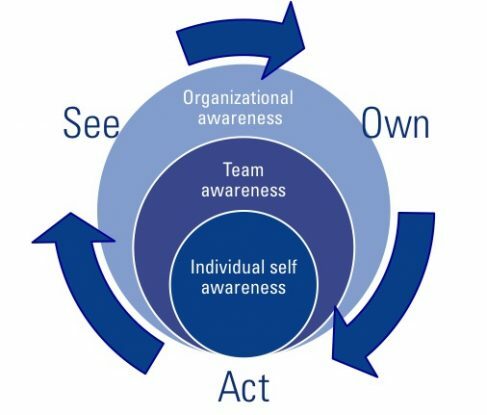 To initiate and sustain this cycle of development, we use a See-Own-Act© approach. See: Experienced coaches know that transformation begins with noticing. Whether it be outcomes (“when do you get outcomes that are different than what you had hoped for?”), actions (“when do you sometimes act in ways that are inconsistent with your values?”), or deeply held beliefs (“why does X matter so much to you?”), you can’t figure out how to get where you want to go if you don’t have a clear view of where you are starting. Own: Trying to change things you have no control over is an exercise in futility. Fortunately, there are very few challenges or situations faced by leaders that they themselves do not in some way participate in and help to create. Therefore, examining and owning our own involvements in personal, team, and organizational issues not only helps reveal potential leverage points that are in fact at least partially within our control, but also encourages a commitment to personal accountability as an essential component of growth and development. 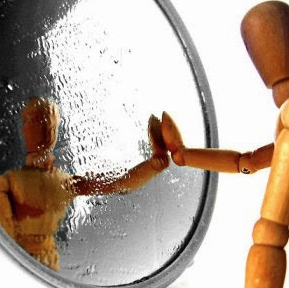 Act: Having reflected enough to make visible the various personal, interpersonal, and structural factors at play in an unhelpful personal behavior or organizational dilemma – and having considered the extent to which we ourselves participate in creating the situations – it is time to begin focused experiments. In the Act phase, the coachee invents, with the help of her or his coach, mindful experiments to test new actions and to see if the results are better than the results from previous actions. Each action creates data that must be examined, beginning again the See-Own-Act process. The See-Own-Act cycle is flexible as well as iterative, and coachees typically move through multiple cycles, each with its own pacing, simultaneously. In other words, we do not assume that everyone will spend a month “seeing,” followed by a month of “owning,” culminating in a month of “acting.” Similarly, during the course of each engagement Kenning coaches leverage multiple learning tools, many of which engage multiple stages of the See-Own-Act cycle, selected specifically for their relevance to the particular work the coachee is doing. To assist in the process we have designed a workbook and reference book to help to each coachee see, own, and act in session, while expanding the coaching experience past one-on-one time by developing plans of action that foster discovery and achievement in their own way and time. This approach combines the best of being coached and being an autodidact – directing your own self-learning. To find out more, contact Mark.